People may find Stephen Hawking's ideas of alien encounters humorous, but it'll be silly not to give it any possibility that intelligent life exists outside our boundaries. There's a chance, even if a small one. The faster you travel, the slower the time passes for you. If one could reach the speed of light, time would stop, but no one can reach that speed. Travelling to the past is not possible because of the potential paradox. For example if one travels to the past and kills an ancestor, then the person would not have existed to travel to the past and kill the ancestor, and so on. With those basic rules in mind, here's how one can travel to the future. If the person gets onboard a train that travels really fast, time will slow down for that person, but the rest of the world will be on normal time. Now if the train reaches near-light speeds, each second for that person could be the equivalent of years on the outside. If the train returns to the station after 10 minutes (as measured by the person onboard), the world would be centuries beyond the time when the person had left. I bet the team in charge of the Phoenix spacecraft is not going to enjoy a restful night as they prepare to land this hunk of metal near Mars's north pole tomorrow. I'll probably sleep fine, but I'm hoping for good news tomorrow. This landing is specially poignant, since the last craft (Mars Polar Lander) that attempted a powered landing using retro rockets went MIA on Mars over 8 years ago. The rovers sent up since then have all utilized successful airbag landings, but Phoenix is going for the traditional soft landing and that means edgy nerves while awaiting a successful touchdown signal nearly 9 ½ months after its launch. Unlike the rovers, Phoenix is a stationary craft, designed to survey the area for water and primordial matter. 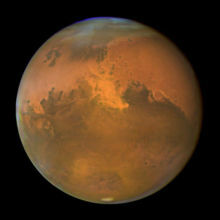 Depending on its discoveries, it could pave the way for future missions, culminating in manned exploration of the red planet. For me this is an incredible triumph of science and engineering, specially since I'm still amazed at seeing 500-ton airplanes getting airborne and traveling vast distances. The fact that a tiny craft can be controlled from 35 million miles away is nothing short of miraculous. Here is the Phoenix blogs updating the events surrounding this mission. Good luck, guys. I'm no scientist, but I do have a keen interest in science. That's why I was fascinated with the The Large Hadron Collider experiment that's about to be commenced at CERN in Switzerland. The basic idea is to replicate (or try to) the conditions moments after the alleged Big Bang by creating a high-energy collision of sub-atomic particles in a gargantuan tunnel and see what happens next, as in, if that results in any matter being created. The reason I use the word "alleged" with Big Bang is that the phenomenon is really a theory. No one knows exactly how the world came to be and obviously that has been a dead-locked debate between creationists and evolutionists. But before this cosmic experiment can reach its full momentum, there are a couple of earthly hurdles for CERN to clear in the form of lawsuits. Apparently a few scientists are worried that this experiment could create a man-made Black Hole which could envelope Earth and extinguish life as we know it. So they are trying to put a stop to the experiment to save mankind. Perhaps CERN should play the song "It's the End of the World as We Know It" by R.E.M. as they fire up the instruments. 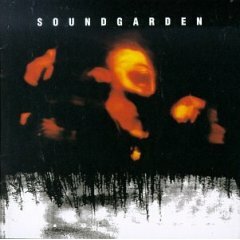 Or how about "Black Hole Sun" by Soundgarden? Most of the scientific community dismisses such claims as baseless, but one wonders about the what-if factor. I suppose there's a slight probability that a cataclysm could occur as a result of the collision which may engulf our planet. If that comes to pass, I hope it's quick and painless. I'd hate to wake up one day and see a black hole encroaching on my yard, sucking in everything in its path as it expands. At current gas prices, I might think twice about jumping in my car and speeding away. Of all the images sent from various orbiters, telescopes, and satellites gathering information on mars, this one has captured my imagination the most. I think It was captured by the Opportunity rover and it shows the Sun setting on Mars. It's a surreal image, inviting the viewer to look at every detail of the terrain on our sister planet. The Sun almost looks like a distant moon. Hard to believe that even at that distance, mars is still a slave to the Sun's gravitational forces. Notice how much smaller the disk of the Sun is compared to what we see on Earth. How could a star so far away from this planet still exert its forces on it? How could Mars still experience day time and night time from an object so distant? Wouldn't it be something to actually be there and experience this image first hand? As much progress as we have made in space exploration, I suppose landing humans on Mars is still a distant reality, possibly way beyond my life time. Still, looking at this image tells me that we have no choice but to continue our efforts to learn more about the universe that we are a part of. Clearing the haze of scientific and mathematical complexities that are part of exploring the space, there is the essence of old-fashioned human curiosity that keeps driving us out into the unknown. It's as old as humanity itself, and it's a quest driven by a never-quenching and inexplicable thirst to explore, discover, and experience – a simple desire to know more.